John Robert Kirk was on his way home from work and stopped his vehicle, a red 1984 Chevrolet pickup truck with a camper, because of mechanical problems near the West Blocton exit on Interstate 59. Williams and two men were traveling south on Interstate 59 in a vehicle stolen the day before. They stopped and confronted Kirk, leading him to a nearby wooded area and shot him once in the left side of the head with a .22 caliber pistol which had been in the trunk of the stolen vehicle. The victim’s body was left at the site of the shooting, and his money and vehicle were taken. Later that same morning, several witnesses identified Williams as the driver of a red ‘camper truck’ which was parked at the Smithfield housing project. The gun used in the shooting was recovered from his girlfriend's home where Williams was arrested. Kirk was a veteran of the Omaha Beach landing during World War II. The two men who were with Williams when they stopped to rob Kirk pleaded guilty to lesser charges. Trosky Eric Gregory, now 43, is incarcerated at Staton Correctional Facility in Elmore. Albert Charmichael Jr., now 45, was paroled in 2004. Williams v. Allen, 458 F.3d 1233 (11th Cir. Ala. 2001) (Habeas). Williams v. State, 601 So.2d 1062 (Ala.Cr.App. 1991) (Direct Appeal). Hot dogs, a garden salad with French dressing, and orange juice. “They told the other two guys to put it on me. I think it’s wrong. I swear to God I did not kill him." After blaming prosecutors and law enforcement, he called out his original defense attorney, "You provided no defense. I didn’t have no defense, and that’s why I’m here.” Williams went on to say he was never going to give up the other two men. “My name is Luther Jerome Williams. I ain’t no black, little rat,” he said. BIRMINGHAM, Alabama (Reuters) - A man convicted of shooting a World War Two veteran to death during a 1988 robbery was executed by lethal injection on Thursday in Alabama. The execution of Luther Jerome Williams, 47, for the slaying of John Robert Kirk, who participated in the 1944 Omaha Beach landing in France, was the state's third of 2007 and the 38th since capital punishment was reinstated in 1976. 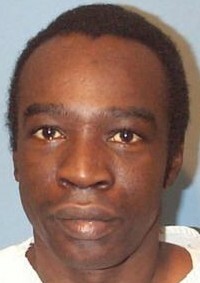 Williams was pronounced dead at 6:21 p.m. CDT at Holman Correctional Facility in southern Alabama. He ate a hot dog, a green salad and orange juice as a last meal, said Alabama Department of Corrections spokesman Brian Corbett. Williams spoke through the glass partition in the execution chamber separating him from two members of the victim's family, who came to witness his death, and proclaimed his innocence, Corbett said. He was sentenced in 1989 for the murder of Kirk, who was shot in the back of the head. He had exhausted all his appeals and the U.S. Supreme Court voted 5-4 on Thursday to deny a stay of execution. Attorneys Christopher Little and Joel Sogol also wrote to Gov. Bob Riley on Monday asking for a stay until after a federal judge rules in October whether Alabama's lethal injection method of execution constitutes cruel and unusual punishment. Williams' attorneys and Project Hope to Abolish the Death Penalty said his mental status was never thoroughly evaluated, noting that Williams, who had been arrested 15 times before his murder conviction, lagged years behind his age group in school. Riley issued a statement on Thursday rejecting their request. ATMORE | Minutes before his execution, Luther Jerome Williams raised his head to look at the family of the man Williams is convicted of killing 19 years ago. “I didn’t do it,” Williams said to Peggy Guy, sister of victim John Robert Kirk. Williams maintained his innocence until his last breath, which at 6:21 p.m. at Holman Correctional Facility in Atmore. The 47-year-old was convicted in 1989 of shooting Kirk, of Gordo, not far from Interstate 20/59 near West Blockton Jan. 22, 1988. Prosecutors said Williams was one of three men who saw the 63-year-old World War II veteran stopped on the side of the exit ramp, shot him execution-style not far from the road and robbed him of his wallet and truck. The then-28-year-old Williams was on the run from a prison work release program. After being read the death sentence by Warden Grantt Culliver, Williams began speaking into the microphone provided for his last words. Strapped to a gurney with his arms outstretched, Williams said that the Tuscaloosa County district attorney and chief of homicide told the two men with him that Saturday of the murder to blame him. “They told the other two guys to put it on me,” said Williams, who grew up in Birmingham. “I think it’s wrong.” The other men accused of Kirk’s murder pleaded guilty and received life sentences. Trosky Gregory, now 43, is serving his sentence at Staton Correctional Facility in Elmore, with the possibility of parole. Albert Carmichael Jr., now 45, was paroled May 3, 2004. Williams has said in appeals to his conviction that he was passed out drunk in the back seat of the car while the other men shot Kirk. Williams went on to say he was never going to give up the other two men. “My name is Luther Jerome Williams. I ain’t no black, little rat,” he said. The stark white death chamber sits between two rooms with windows. The room to Williams’ left is reserved for his family, friends and media. On his right sat Kirk’s sister, Peggy Guy, and her son, Lewis Kirk Guy. When the curtain to both rooms opened, Williams peered into the windows. None of his family sat behind the glass. Don Blocker, a volunteer minister at Holman, was the lone familiar face. After the microphone was removed and prison officials began exiting, Williams looked to his left. Blocker raised his hand, palm open, to the window, and Williams winced as if to begin weeping. He quickly gathered himself and turned his head to the Guys. With microphone gone, it was difficult to make out all Williams said in his lengthy diatribe. He looked both in the eyes, and swore to God he didn’t kill Kirk. Wearing a green dress and black-framed glasses, Peggy Guy chewed gum nearly emotionless most of the execution, but always looking at her man convicted of killing her brother and, occasionally, her wristwatch. When Williams spoke to her, her jaws paused. She didn’t turn away and looked him square in the eye. Her son grabbed her hand. The two declined to comment after the execution, as did Blocker. Kirk’s widow, Norma, died a few years ago, and his daughter in Florida did not come. After the guards left. all that remained was Chris Summers, prison chaplain. He asked Williams if he’d like to pray, and then knelt beside the bed, holding his hand. He closed his eyes and prayed along with the chaplain. Not long after, he breathed deeply and readjusted his head on the pillow. A few seconds later his hand lost the grip of Summers, who prayed a moment more before stepping back at 6:07 p.m. His head tilted to the left, and his mouth slightly open. Williams lay there until breathing ceased. The curtain’s closed so the medical examiner could declare a time of death. And so prisoner 00Z513 died after nearly 18 years on death row. His last appeal was denied 2-1 by the 11th Circuit Court of Appeals Tuesday, and Gov. Bob Riley refused to stay his execution. “Mr. Williams committed a random, cold-blooded crime that took the life of an innocent man almost 20 years ago,” Riley said in a statement Thursday. “I see no reason to overturn the sentence imposed by the jury and judge, and barring a decision by the U.S. Supreme Court, I will not intervene in this scheduled execution because there is no justifiable reason to delay it.” Though Williams did not know of Riley’s decision till Thursday, his last week was spent on deathwatch. His post-conviction attorney, Joel Sogol, and a law student visited Williams Monday. On Tuesday, he was moved to a larger, isolated cell. He spent much of his time writing a couple of letters, watching television and talking with officers, said Brian Corbett, spokesman for the Alabama Department of Corrections. Corbett did not know whom the letters were for. No visitors came Tuesday, but on Wednesday he met his youngest son for the first time. Koreen Bush, 18, and his foster parents came. Father and son talked for the first time two weeks ago. To his son, Williams left all his possessions: a 13-inch black-and-white television, one box of legal paper and a check for all that remained in his prison account, $38.97. “He was very happy to get the opportunity to visit with his youngest son,” Corbett said. Two cousins also visited Wednesday. Williams also has three sisters, one brother and another son, Dwight Bush, 23. None visited. Thursday, Blocker, a spiritual advisor to Williams, and Summers were the only visitors. His last day began with a breakfast of grits, eggs, biscuit, prunes, two cartons of milk and sausage and gravy. For lunch, he requested a Coca-Cola and a hamburger from the vending machine. Soft drinks are somewhat of a luxury since the kitchen does not serve them. His last meal was hot dogs, a garden salad with French dressing and orange juice. “His mood is as good as can be expected considering he’s about to die,” Corbett said Thursday afternoon. He appeared agitated by his IV line before the warden read the death sentence. “Calm down. It’s going to be OK,” Culliver said. Williams wished to be cremated, and a couple in Rhode Island accepted the body. They will pay for the cremation, and give his remains to Koreen Bush, Corbett said. ATMORE - Luther Jerome Williams was put to death by lethal injection Thursday for the 1988 killing of a Pickens County man who had stopped on the shoulder of Interstate 20/59 because of trouble with his pickup. Williams, 47, of Birmingham was pronounced dead at 6:21 p.m. in the execution chamber at Holman Correctional Facility. In the moments before the cocktail of lethal chemicals was administered, he raised his head and spoke to the family of his victim, professing his innocence. Next, he prayed with prison chaplain Chris Summers, who knelt to hold his hand. Williams then laid his head down and drifted into unconsciousness. Williams was convicted in 1989 for the Jan. 23, 1988, killing of John Kirk. Kirk, 63 and a veteran of the Omaha Beach landing during World War II, had stopped his truck on the shoulder of the interstate in eastern Tuscaloosa County because of mechanical problems. Williams and two other men stopped and then robbed him. Williams led Kirk to the nearby woods where he forced him to kneel and shot him in the head, execution style, investigators said. Williams maintained his innocence to the end. In his final statement, Williams said the Tuscaloosa County district attorney and police convinced his two accomplices to pin Kirk's murder on him. "They told the other guys to put it on me, ... and I think it's wrong," he said. He implied he would not have turned against his accomplices. "I ain't a black little rat," he said. Williams also said he was being executed because of a faulty defense. "I did not have no defense," he said during his final statement. One of the earlier appeals Williams lost claimed his defense lawyer made too little effort to point out his troubled history. At sentencing in 1989, the judge considered several factors, including Williams' unstable childhood, his "anti-social personality disorder" and his extensive drug and alcohol abuse. But the judge described these mitigating factors as "weak,"
Williams had twice unsuccessfully appealed to the U.S. Supreme Court, and also lost an 11th-hour appeal to a federal district court, where his lawyer argued that lethal injection is a violation of the constitutional ban on cruel and unusual punishment. The 11th U.S. Circuit Court of Appeals ruled Tuesday that Williams waited too long to challenge lethal injection. His real goal was to delay his execution, the court found. Williams also unsuccessfully appealed to state courts, arguing that his trial lawyer was deficient. He claimed in that appeal that his lawyer didn't thoroughly review information about the time Williams spent in a mental health facility. Gov. Bob Riley refused to intervene, saying there was no reason to delay the execution of a man convicted in a "random, cold-blooded crime" almost 20 years ago. Williams, who had spent 17 years on Death Row, met his 18-year-old son Koreem Bush for the first time on Wednesday, and spoke to him over the telephone for the first time two weeks ago. His son did not witness the execution. Witnessing the execution on Williams' behalf was a prison volunteer. For his last meal, Williams requested hot dogs, a green salad with French dressing and orange juice. He left his possessions, consisting of legal papers, a television and $38.97, to his son. Two of Kirk's family members, his sister Peggy Guy and nephew Lewis Kirk Guy witnessed the execution. Both declined to comment. They sat silently in the witness room holding hands as the execution took place. The two men who were with Williams when they stopped to rob Kirk pleaded guilty to lesser charges. Trosky Eric Gregory, now 43, is incarcerated at Staton Correctional Facility in Elmore. Albert Charmichael Jr., now 45, was paroled in 2004. On January 22, 1988, a 1981 dark blue Oldsmobile Regency automobile was stolen from a motel parking lot in Birmingham, Alabama. In the trunk of this vehicle was, among other items, a .22 caliber pistol. A dark blue car arrived at the Smithfield housing project in Birmingham later that same evening and Luther Jerome Williams was identified as the sole occupant. On the morning of January 23, 1988, John Robert Kirk was on his way home from work. He stopped his vehicle – a red 1984 Chevrolet pickup truck with a camper on the back – near the West Blocton exit on Interstate 59 South in Tuscaloosa County. Williams and two men were traveling south on Interstate 59 in the stolen Oldsmobile. After noticing the victim’s vehicle beside the road, they stopped and confronted him. Williams led the victim to a nearby wooded area and shot him once in the left side of the head, ‘execution style,’ with the .22 caliber pistol which had been in the trunk of the stolen Oldsmobile. The victim’s body was left at the site of the shooting, and his money and vehicle were taken. Later that same morning, several witnesses identified Williams as the driver of a red ‘camper truck’ which was parked at the Smithfield housing project. One of these witnesses, Priscilla Jones, a relative of Williams', testified that Williams had visited her on the day of the murder. She stated that Williams told her that ‘he had killed a white man and stole his truck,’ and that he proceeded to show her the weapon, which she described as having a white handle. On the night of January 24, 1988, after responding to a call placed by a Rosie Mims, members of the Birmingham Police Department interviewed Priscilla Jones regarding Williams. During this interview, the Birmingham police learned of Williams' statement to Ms. Jones concerning the shooting of a white man. They were also informed that he was staying at an apartment in the housing project, and that he was an escapee from the supervised intensive restitution (SIR) program. During the very early morning hours of January 25, 1988, after verifying that Williams had indeed escaped from the SIR program and that a warrant was still outstanding, the Birmingham police went to the apartment in the Smithfield housing project where Williams was reportedly staying. The officers talked with the lessee of the apartment, Margie Bush. They inquired as to the whereabouts of Williams and his girlfriend, Debra “Bootsie” Bush. Margie Bush turned toward a curtain which separated the front of the apartment from the back bedroom and shouted for Bootsie, who then appeared from behind the curtain. Bootsie stated that she did not know where Williams was at that time. However, one of the officers happened to look behind the curtain and saw Williams lying in the bed. After a struggle, Williams was taken into custody. The supervising officer then informed Margie Bush that Williams was thought to have a gun and requested permission to search the apartment for it. Margie Bush gave her permission. During the search, Bootsie stated that Williams had hidden the gun in the bedroom. The murder weapon was found inside a black purse located on top of a dresser in the room in which Williams was apprehended. Williams was indicted on April 29, 1988, for the murder of John Robert Kirk during a robbery. After his indictment, Williams was sent at his own request to the Taylor Hardin Secure Medical Facility for an evaluation of his mental competency to stand trial. Evidence was presented at trial that while at Taylor Hardin, Williams made the statement ‘I have killed one white m___ f____; I’ll kill another one.’ However, there was some conflict regarding the person to whom the statement was directed. Williams was found to be competent to stand trial and was discharged from the facility on December 23, 1988. Do Not Execute Luther Williams! The state of Alabama has scheduled the execution of Luther Williams on August 23, 2007, for the January 1988 murder of John Robert Kirk. The state of Alabama should not execute Williams for his role in this crime. Executing Williams would violate the right to life as declared in the Universal Declaration of Human Rights and constitute the ultimate cruel, inhuman and degrading punishment. Also, Williams claims ineffective assistance of counsel during his initial trial. Please write to Gov. Bob Riley on behalf of Luther Williams! 1 John Louis Evans	22 April 1983	electrocution	Edward Nassar. 2	Arthur Lee Jones	21 March 1986	electrocution	William Hosea Waymon. 3	Wayne Ritter	28 August 1987	electrocution	Edward Nassar. 4	Michael Lindsey	26 May 1989	electrocution	Rosemary Zimlich Rutland. 5	Horace Dunkins	14 July 1989	electrocution	Lynn McCurry. 6	Herbert Richardson	18 August 1989	electrocution	Rena Mae Callins. 7	Arthur Julius	17 November 1989	electrocution	Susie Bell Sanders. 8	Wallace Thomas	13 July 1990	electrocution	Quenette Shehane. 9	Larry Heath	30 March 1992	electrocution	Rebecca Heam. 10	Cornelius Singleton	20 November 1992	electrocution	Ann Hogan. 11	Willie Clisby	28 April 1995	electrocution	Fletcher Handley. 12	Varnell Weeks	12 May 1995	electrocution	Mark Batts. 13	Edward Horsley, Jr.	16 February 1996	electrocution	Naomi Rolon. 14	Billy Wayne Waldrop	10 January 1997	electrocution	Thurman Donahoo. 15	Walter Hill	2 May 1997	electrocution	Willie Mae Hammock, John Tatum, and Lois Tatum. 16	Henry Hays	6 June 1997	electrocution	Michael Donald. 17	Stephen Allen Thompson	8 May 1998	electrocution	Robin Balarzs. 18	Brian K. Baldwin	18 June 1999	electrocution	Naomi Rolon. 19	Victor Kennedy	6 August 1999	electrocution	Annie Laura Orr. 20	David Ray Duren	7 January 2000	electrocution	Kathleen Bedsole. 21	Freddie Lee Wright	3 March 2000	electrocution	Warren Green and Lois Green. 22	Robert Lee Tarver, Jr.	14 April 2000	electrocution	Hugh Sims Kite. 23	Pernell Ford	2 June 2002	electrocution	Willie C. Griffith and Linda Gail Griffith. 24	Lynda Lyon Block	10 May 2002	electrocution	Opelika Officer Roger Lamar Motley. 25	Anthony Keith Johnson	12 December 2002	lethal injection	Kenneth Cantrell. 26	Michael Eugene Thompson	13 March 2003	lethal injection	Maisie Carlene Gray. 27	Gary Leon Brown	24 April 2003	lethal injection	Jack David McGraw. 28	Tommy Jerry Fortenberry	7 August 2003	lethal injection	Ronald Michael Guest, Wilbut T. Nelson, Robert William Payne, and Nancy Payne. 29	James Barney Hubbard	August 5, 2004	lethal injection	Lillian Montgomery. 30	David Kevin Hocker	30 September 2004	lethal injection	Jerry Wayne Robinson. 31	Mario Giovanni Centobie	28 April 2005	lethal injection	Moody police officer Keith Turner. 32	Jerry Paul Henderson	2 June 2005	lethal injection	Jerry Haney in Talladega and for accepting $3,000 from Haney's wife for the killing. 33	George Everett Sibley, Jr. (common-law husband of Lynda Lyon Block)	4 August 2005	lethal injection	Opelika Officer Roger Lamar Motley. 34	John W. Peoples, Jr.	September 22, 2005	lethal injection	Paul Franklin, Judy Franklin, and Paul Franklin, Jr. Defendant was convicted in the Circuit Court, Tuscaloosa County, Joseph A. Colquitt, J., of intentional murder during course of robbery, and he was sentenced to death. Appeal was taken. The Court of Criminal Appeals, Taylor, J., held that: (1) 22-month delay between date of arrest and date of trial did not violate defendant's speedy trial rights; (2) defendant had no expectation of privacy in purse in which murder weapon was found where purse was in area of apartment to which all occupants had access; and (3) sentence of death was not excessive. Affirmed. The appellant, Luther Jerome Williams, was convicted of intentional murder during the course of a robbery, made a capital offense by § 13A-5-40(a)(2), Code of Alabama 1975. The jury recommended that the appellant be sentenced to death. The trial court accepted its recommendation and sentenced the appellant to death by electrocution. On January 22, 1988, a 1981 dark blue Oldsmobile Regency automobile was stolen from a motel parking lot in Birmingham, Alabama. In the trunk of this vehicle was, among other items, a .22 caliber pistol. A dark blue car arrived at the Smithfield housing project in Birmingham later that same evening and the appellant was identified as the sole occupant. On the morning of January 23, 1988, John Robert Kirk was on his way home from work. He stopped his vehicle-a red 1984 Chevrolet pickup truck with a camper on the back-near the West Blocton exit on Interstate 59 South in Tuscaloosa County. The appellant and two men were traveling south on Interstate 59 in the stolen Oldsmobile. After noticing the victim's vehicle beside the road, they stopped and confronted him. The appellant led the victim to a nearby wooded area and shot him once in the left side of the head, “execution style,” with the .22 caliber pistol which had been in the trunk of the stolen Oldsmobile. The victim's body was left at the site of the shooting, and his money and vehicle were taken. Later that same morning, several witnesses identified the appellant as the driver of a red “camper truck” which was parked at the Smithfield housing project. One of these witnesses, Priscilla Jones, a relative of the appellant's, testified that the appellant had visited her on the day of the murder. She stated that the appellant told her that “he had killed a white man and stole his truck,” and that he proceeded to show her the weapon, which she described as having a white handle. On the night of January 24, 1988, after responding to a call placed by a Rosie Mims, members of the Birmingham Police Department interviewed Priscilla Jones regarding the appellant. During this interview, the Birmingham police learned of the appellant's statement to Ms. Jones concerning the shooting of a white man. They were also informed that he was staying at an apartment in the housing project, and that he was an escapee from the supervised intensive restitution (SIR) program. During the very early morning hours of January 25, 1988, after verifying that the appellant had indeed escaped from the SIR program and that a warrant was still outstanding, the Birmingham police went to the apartment in the Smithfield housing project where the appellant was reportedly staying. The officers talked with the lessee of the apartment, Margie Bush. They inquired as to the whereabouts of the appellant and his girlfriend, Debra “Bootsie” Bush. Margie Bush turned toward a curtain which separated the front of the apartment from the back bedroom and shouted for Bootsie, who then appeared from behind the curtain. Bootsie stated that she did not know where the appellant was at that time. However, one of the officers happened to look behind the curtain and saw the appellant lying in the bed. After a struggle, the appellant was taken into custody. The supervising officer then informed Margie Bush that the appellant was thought to have a gun and requested permission to search the apartment for it. Margie Bush gave her permission. During the search, Bootsie stated that the appellant had hidden the gun in the bedroom. The murder weapon was found inside a black purse located on top of a dresser in the room in which the appellant was apprehended. The appellant was indicted on April 29, 1988, for the murder of John Robert Kirk during a robbery. After his indictment, the appellant was sent at his own request to the Taylor Hardin Secure Medical Facility for an evaluation of his mental competency to stand trial. Evidence was presented at trial that while at Taylor Hardin, the appellant made the statement “I have killed one white m____ f____; I'll kill another one.” However, there was some conflict regarding the person to whom the statement was directed. The appellant was found to be competent to stand trial and was discharged from the facility on December 23, 1988. After numerous continuances, the appellant's trial began on November 27, 1989. The jury returned a verdict of guilty on November 30, 1989. The sentencing phase of the appellant's trial began on December 1, 1989, and that same day, the jury returned its recommendation that the appellant be sentenced to death. Initially, we observe that many of the issues that the appellant raises in his supplemental brief are issues as to which no objections were made during the course of the trial. While this will not bar our review in a case involving the death penalty, it will weigh against any claim of prejudice. “Rule 45A requires this court to ‘notice any plain error or defect ..., whether or not brought to the attention of the trial court, and [to] take appropriate appellate action by reason thereof, whenever such error has or probably has adversely affected the substantial right of the appellant.’ ” Arthur v. State, 575 So.2d 1165 (Ala.Cr.App.1990), cert. denied, 575 So.2d 1191 (Ala.1991). The appellant next argues that the prosecutor impermissibly stated during his rebuttal closing argument in the guilt phase of the trial that the appellant would kill again. No objection was made to this comment. While the fact that no objection was made will not preclude review in a case where the appellant has been sentenced to death, it will weigh against any claim of prejudice. See Dill v. State, 600 So.2d 343 (Ala.Cr.App.1991); Kuenzel v. State, 577 So.2d 474 (Ala.Cr.App.1990), aff'd, 577 So.2d 531 (Ala.1991). “ ‘This court has concluded that the failure to object to improper prosecutorial arguments ... should be weighed as part of our evaluation of the claim on the merits because of its suggestion that the defense did not consider the comments in question to be particularly harmful.’ ” Dill, 600 So.2d at 356, quoting Kuenzel, 577 So.2d at 489. The appellant maintains that the underlined portion of the argument was a comment that the appellant would kill again. (The analogy is similar to statements made by the trial court in its instructions to the prospective jurors during voir dire and statements made by defense counsel in his closing argument.) The prosecutor's statement was a comment on the statement made by the appellant, which was received into evidence at trial. See part V of this opinion. “ ‘The test of legitimate argument is that whatever is based on a fact or facts in evidence is within the scope of proper comment in argument to the jury.’ ” White v. State, 587 So.2d 1218, 1229 (Ala.Cr.App.1990). “Whatever is in evidence is considered subject to legitimate comment by counsel.” Bankhead v. State, 585 So.2d 97 (Ala.Cr.App.1989), aff'd, 585 So.2d 112 (Ala.1991). See also Ward v. State, 440 So.2d 1227 (Ala.Cr.App.1983). “The prosecutor has the right to present his impressions from the evidence. He may argue every matter of legitimate inference and may examine, collate, sift, and treat the evidence in his own way.” (Citations omitted.) Donahoo v. State, 505 So.2d 1067, 1072 (Ala.Cr.App.1986). Furthermore, “ ‘[s]tatements of counsel in argument to the jury must be viewed as having been made in the heat of the debate, and such statements are usually valued by the jury at their true worth.’ ” Stephens v. State, 580 So.2d 11 (Ala.Cr.App.1990), aff'd, 580 So.2d 26 (Ala.1991), quoting Harris v. State, 539 So.2d 1117, 1123 (Ala.Cr.App.1988). No plain error occurred here. The appellant also argues that the prosecutor emphasized the race of the appellant to urge the jury to return a verdict of death. No objections were made to any evidence received at trial that may have emphasized the race of the appellant. We must apply the plain error analysis, i.e., is the error so egregious that it seriously affected the fairness and integrity of the proceeding? See Dill and Kuenzel. The following statement made by the appellant while he was at Taylor Hardin, was received into evidence. “I killed one white m____ f____; I'll kill another one.” (See part V of this opinion.) Priscilla Jones also testified that the appellant said that he had killed a white man. These statements were not brought out to emphasize race. These were statements made by the appellant himself. There is absolutely no evidence in the record that the prosecuting attorney tried to prejudice the minds of the jurors by emphasizing the difference in race between the appellant and the victim. “The fact that the deceased was a white man or that the defendant was a black man is irrelevant insofar as your determination and duty in this case is concerned. Whether or not race played any part in the death of John Robert Kirk and regardless of the presence, if any, of any racial epithets or statements, considerations of race simply do not enter into this courtroom or inject themselves into your consideration of the evidence in the case.” No plain error exists here. Initially, we observe that no objections were made to the complained-of portions of the prosecutor's argument. While this does not bar review in a case involving the death penalty, it will weigh against any prejudice that the appellant may have suffered. See Kuenzel. After evaluating the prosecutor's comments in relation to the whole case, we cannot say that this comment, which was a reply in kind to a statement made by defense counsel in his closing argument, amounted to plain error. See Dill. To constitute plain error the error must be so “egregious as to ‘seriously affect the fairness or integrity of the judicial proceedings.’ ” Dill, 600 So.2d at 355; quoting, Ex parte Womack, 435 So.2d 766 (Ala.), cert. denied, 464 U.S. 986, 104 S.Ct. 436, 78 L.Ed.2d 367 (1983). Furthermore, there is some question whether the comment was intended to be a reference to the appellant's failure to testify. See Duncan v. Stynchcombe, 704 F.2d 1213 (11th Cir.1983). The appellant also contends in his supplemental brief that there was insufficient evidence to find him guilty of murder committed during the course of a robbery. We do not agree. The evidence was clearly sufficient for the jury to find beyond a reasonable doubt that the appellant was guilty of capital murder. The state's evidence tended to show that on January 23, 1988, the victim was shot, execution style, with one bullet to the head. The appellant and two other individuals were on Interstate 59, South, when they saw the victim's car on the side of the road. They took the victim to a wooded area and shot him once in the head at very close range. The victim's money and truck were taken from the site. Later that same day, the appellant was seen driving the victim's truck. The appellant went to visit a relative and showed her a gun and bullets and said that he had killed a white man and stole his truck. A statement was also admitted which was made by appellant in which he said, “I have killed one white m____ f____; I'll kill another one.” This evidence was clearly sufficient to present the issue of appellant's guilt to the jury for their determination. There is no reason to disturb their verdict on appeal. “We will not substitute our judgment for that of the jury.” Neal v. State, 460 So.2d 257, 260 (Ala.Cr.App.1984). “ The mitigating circumstances. The defense asserted the presence of mitigating circumstances. Although the defense did not rely on all of the statutory mitigating circumstances, the court reviews all of the statutory mitigating circumstances in this sentencing order. “1. The defendant has no significant history of prior criminal activity. See Ala.Code § 13A-5-51(1) (1982 repl. vol.). The court finds that this mitigating circumstance is inapplicable. “The defense argued that the defendant has no significant history of prior criminal activity. According to the defense this mitigating circumstance should be deemed established by the absence of previous convictions for crimes of violence. Although the defendant does not have a record of prior convictions for violent felonies, he does have a history of prior criminal activity, and that history is significant. In 1979 he was convicted of grand larceny. By his own account, he was sent to the Frank Lee Youth Center, but after only four months he was transferred to Draper prison. Then he was placed in a work-release program in Mobile, but was ‘busted’ for shoplifting and returned to prison, this time at Atmore. In 1981 he was convicted of burglary in the third degree. He served the two-year sentence. Obviously, though, he did not serve the entire sentence, for in 1982 he was convicted of possessing burglar's tools. In 1983 he was convicted of two counts of breaking and entering a motor vehicle and one count of burglary in the third degree. He served a split sentence on the burglary conviction. In 1984 he was convicted of receiving stolen property, burglary in the third degree, and violation of the Alabama Controlled Substances Act. He was given two fifteen year sentences to run concurrently on the first two convictions. He was on escape from these sentences when he committed this capital offense. He also has been convicted of giving false information and disorderly conduct. Moreover, in 1978 the defendant was adjudicated a youthful offender in 1978 based on a charge of grand larceny. The court can consider that adjudication. See Ala.Code § 15-19-7(a) (1982 repl. vol.) (‘[I]f he is subsequently convicted of crime, the prior adjudication as youthful offender shall be considered.’). This mitigating circumstance refers to no significant history of prior criminal ‘activity,’ not convictions. Even if that adjudication were not considered by the court though, the defendant nevertheless has an extensive criminal record. “Additionally, the defendant has served at least portions of six separate sentences. He has had at least one probation sentence revoked. He has violated the conditions in two separate work release programs. Thus, disregarding the youthful offender adjudication and the misdemeanor convictions, the defendant has five prior felony convictions. The appellant argues that § 13A-5-51(1) should apply since he has no prior convictions which involve violent behavior. We do not agree. “Unlike the aggravating circumstance related to prior criminal acts, this mitigating circumstance is not restricted to prior convictions of capital felonies or felonies in which violence was used.” Colquitt, Death Penalty Laws, 33 Ala.L.Rev. 213, 300 (1982). We have upheld the practice of not applying this mitigating provision when the significant history was based on prior misdemeanor convictions. See Richardson v. State, 376 So.2d 205 (Ala.Cr.App.1978), aff'd, 376 So.2d 228 (Ala.1979). Section 13A-5-51, Code of Alabama 1975, which lists mitigating circumstances, does not specifically state that the history of criminal activity referred to therein refers only to convictions for violent crimes. However, § 13A-5-49(2), Code of Alabama 1975, which lists aggravating circumstances, specifically provides that a conviction for a violent crime is an aggravating circumstance. Had the legislature intended that convictions for nonviolent crimes not be considered in determining whether there has been “no significant history of prior criminal activity” for purposes of determining the existence of mitigating circumstances, it would have specifically so stated in the statutes. The trial court committed no error in not finding as a mitigating circumstance that the appellant lacked a significant history of prior criminal activity. The appellant also argues that the court erred in finding as a prior conviction the crime of escape from the SIR program. It is clear from the record that this escape was not considered in the trial court's review of mitigating circumstances. The trial judge referred to the fact that the appellant had escaped from the SIR program, but he does not cite that escape as a prior conviction. It is clear from the record that the trial court allowed the appellant to introduce “any matter” which would point towards mitigation. No error occurred here. Clisby v. State, 456 So.2d 99 (Ala.Cr.App.1983), aff'd, 456 So.2d 105 (Ala.1984). Last, the appellant argues that the trial court erred in considering a presentence report, which contained nonstatutory aggravating circumstances, a recommendation by the preparer, statements made by the appellant while counsel was not present, and hearsay. Initially, we observe that the appellant made no objection to this in the court below. Thus, we must apply the plain error doctrine. Is the error so egregious that the fairness of the proceedings were affected? See Dill and Kuenzel. Initially, we recognize the important function that the presentence report serves. Section 13A-5-47(b) specifically provides for the preparation of presentence reports. “A presentence report is recognized as a valuable sentencing aid.” Colquitt, Death Penalty Laws, 33 Ala.L.Rev. 213, 330 (1982). Regarding the recommendation by the parole officer, this court has recently addressed this issue on several occasions. See Dill; Kuenzel; and Lawhorn v. State, 581 So.2d 1159, 1171 (Ala.Cr.App.1990). We stated in Lawhorn: “ ‘Although we do not approve or condone such a recommendation, we find that even if such recommendation constitutes error, we would find that error harmless in this case. Rule 45, A.R.A.P. “[T]he mere presence of information in the pre-sentence report which should not be considered for the purpose of enhancing punishment is not, per se, prejudicial.” Johnson v. State, 521 So.2d 1006, 1031 (Ala.Cr..App.1986), affirmed, 521 So.2d 1018 (Ala.), cert. denied, 488 U.S. 876, 109 S.Ct. 193 [102 L.Ed.2d 162] ... (1988).’ ” Lawhorn, 581 So.2d at 1171, quoting Kuenzel, 577 So.2d at 527. In both Lawhorn and Kuenzel this court noted that it was apparent from the trial court's findings that the court independently weighed the aggravating and mitigating circumstances and found that the aggravating circumstances outweighed the mitigating circumstances. It is apparent from a review of the trial court's findings in the instant case that the trial court independently weighed the evidence. The trial court's order complies with § 13A-5-47(d), Code of Alabama 1975. See Lawhorn. The appellant further argues that the presentence report was improper since it contained hearsay statements. Judge Bowen recently addressed this issue in Kuenzel: “ ‘Courts are permitted to consider hearsay testimony at sentencing.... While hearsay evidence may be considered in sentencing, due process requires both that the defendant be given an opportunity to refute it and that it bear minimal indicia of reliability.... These protections apply not just to hearsay testimony but also to any information presented at sentencing.... When, as in this case, the defendant claims that his due process rights were violated by the sentencing court's reliance on materially false information, the defendant must establish not only that the disputed information is materially false or unreliable, but also that the sentencing judge relied on the information.’ “ United States v. Giltner, 889 F.2d 1004, 1007 (11th Cir.1989). A sentencing judge may consider hearsay evidence so long as the defendant had a fair opportunity at rebuttal. Smiley v. State, 435 So.2d 202, 206 (Ala.Cr.App.1983), Johnson v. State, 399 So.2d 859, 864 (Ala.Cr.App. ), affirmed in part, reversed in part on other grounds, 399 So.2d 873 (Ala.1979). “ ‘It is clear to this court that the report is entirely consistent with Alabama's capital murder statute regarding evidence to be considered in sentencing. Section 13A-5-45(d), Code states, “[a]ny evidence which has probative value and is relevant to sentence shall be received at the sentence hearing regardless of its admissibility under the exclusionary rules of evidence, provided the defendant is accorded a fair opportunity to rebut any hearsay statements.’ Further, the report itself is an out-of-court statement and is entirely hearsay. However, it is admissible under § 13A-5-47 Code of Alabama, being specifically called for consideration by the trial court. “ ‘It is equally clear to this court that the summary of the offense contained in the pre-sentence report was not prejudicial to this appellant. He argues that this summary contained an opinion [by the parole officer] as to his culpability in the crime in question. This argument is without merit. The appellant's culpability was established by the jury's verdict of guilt. Further, the summary of the offense is consistent with the evidence presented by the State and with the appellant's own statement which was admitted into evidence at trial. The appellant was not prejudiced by this information.’ “ Thompson, 503 So.2d at 880. “The exclusion of hearsay evidence that is highly relevant to a critical issue in the penalty phase of a trial may constitute reversible error. Green v. Georgia, 442 U.S. 95, 97, 99 S.Ct. 2150, 2151, 60 L.Ed.2d 738 (1979).” Kuenzel, 577 So.2d at 528-29. See also Dill, supra. The hearsay in the instant case is similar to that which the court ruled was not error to include in a presentence report in Thompson. The appellant had every opportunity to refute the statements contained in the presentence report. No plain error exists here. The appellant also contends that the inclusion in the presentence report of comments made by the appellant in an interview with his parole officer deprived him of his constitutional right against self-incrimination.FN2 Initially, we note that no objection was made to this in the trial court. While this will not bar review in a case involving the death penalty it will weigh against any claim of prejudice. See Dill and Kuenzel. We apply the same harmless error analysis that this court applied in Kuenzel and Dill. Like the statements in Kuenzel and Dill, the statements in the report which were credited to the appellant were insignificant. (For a thorough discussion of this issue, see Kuenzel, supra.) We can conceive of no possible reason why these statements would have affected the trial court's imposition of the death sentence. No plain error exists here. FN2. We note that some federal courts have ruled that Miranda warnings are not needed in the above situation. For a discussion of this see Kuenzel. As required by § 13A-5-53, Code of Alabama 1975, we address the propriety of the appellant's conviction and the sentence of death. The appellant was indicted and convicted of capital murder as defined in § 13A-5-40(a)(2), Code of Alabama 1975, i.e., murder during the course of a robbery. The record reflects that the appellant's sentence was not imposed under the influence of passion, prejudice, or any other arbitrary factor. See § 13A-5-53(b)(1), Code of Alabama 1975. A review of the record shows that the trial court correctly found that the aggravating circumstances outweighed the mitigating circumstances. The trial court carefully reviewed the evidence presented in mitigation and found that no mitigating circumstances were present. The trial court found that the offense was committed while the appellant was under sentence of imprisonment for a previous offense, § 13A-5-49(1), Code of Alabama 1975, and that it was committed during the course of a robbery, § 13A-5-40(a)(2), Code of Alabama 1975. The court weighed the mitigating and the aggravating circumstances and sentenced him to death. We agree with the trial court's findings in the present case. As required by § 13A-5-53(b)(2), Code of Alabama 1975, this court must independently weigh the aggravating and the mitigating circumstances to determine the propriety of the appellant's death sentence. After an independent weighing this court is convinced that the appellant's sentence of death is the appropriate sentence in the instant case. As section 13A-5-53(b)(3), Code of Alabama 1975, provides, we must also address whether the appellant's sentence was disproportionate or excessive to the penalties imposed in similar cases. The appellant's sentence was neither. See Kuenzel, supra; Henderson, supra; Bradley v. State, 494 So.2d 750 (Ala.Cr.App.1985), aff'd 494 So.2d 772 (Ala.1986), cert. denied, 480 U.S. 923, 107 S.Ct. 1385, 94 L.Ed.2d 699 (1987). Two-thirds of all death sentences in Alabama are imposed for murders which occurred during the course of a robbery. See Dill; Kuenzel; Brownlee v. State, 545 So.2d 151 (Ala.Cr.App.1988), aff'd, 545 So.2d 166 (Ala.), cert. denied, 493 U.S. 874, 110 S.Ct. 208, 107 L.Ed.2d 161 (1989). Last, we have searched the entire record for any error which may have adversely affected the appellant's substantial rights and have found none. See Rule 45A, Ala.R.App.P. The appellant received a fair trial. Therefore, the judgment of the circuit court is due to be, and it is hereby, affirmed. AFFIRMED. Background: Following affirmance on direct appeal of petitioner's conviction for intentional murder during a robbery and his death sentence, 601 So.2d 1062, he filed petition for writ of habeas corpus. The United States District Court for the Northern District of Alabama, No. 01-00780-CV-J-W, Inge P. Johnson, J., denied petition. Petitioner appealed. (4) petitioner was not deprived of effective assistance of counsel during guilt phase. Affirmed. Petitioner, Luther Jerome Williams (“Williams”), a death row inmate, appeals the district court's order denying him federal habeas relief pursuant to 28 U.S.C. § 2254. For the reasons that follow, we affirm the district court's order. The facts are taken verbatim from the opinion of the Alabama Court of Criminal Appeals on Williams's direct appeal. The appellant was indicted on April 29, 1988, for the murder of John Robert Kirk during a robbery. After his indictment, the appellant was sent at his own request to the Taylor Hardin Secure Medical Facility for an evaluation of his mental competency to stand trial. Evidence was presented at trial that while at Taylor Hardin, the appellant made the statement “I have killed one white m____ f____; I'll kill another one.” However, there was some conflict regarding the person to whom the statement was directed. The appellant was found to be competent to stand trial and was discharged from the facility on December 23, 1988. Williams v. State, 601 So.2d 1062, 1065-66 (Ala.Crim.App.1991). A Tuscaloosa County, Alabama, grand jury indicted Williams for capital murder on April 29, 1988. The Honorable Joseph Colquitt appointed Al Vreeland and Bobby Cockrell Jr. to represent Williams; however, these attorneys withdrew in March 1989, and the trial court appointed John Bivens (“Bivens”) to represent Williams. Bivens retained Dr. William A. Formby (“Dr. Formby”) as his guilt phase investigator and hired Dr. Ray Sumrall (“Dr. Sumrall”), a licensed social worker and partner at Veritas, Inc., a firm that provides investigatory and analytical services to lawyers who represent defendants in capital cases, to conduct his mitigation investigation. Williams's trial commenced on November 27, 1989, and three days later, the jury returned a guilty verdict on the charge of capital murder. After the sentencing phase of Williams's trial, the jury recommended, by a 10-2 vote, that the trial court impose the death penalty. After weighing the aggravating FN1 and mitigating circumstances,FN2 the trial court followed the jury's recommendation and sentenced Williams to death. The Alabama Court of Criminal Appeals affirmed Williams's conviction and death sentence on direct appeal. See Williams, 601 So.2d at 1087. The Supreme Court of Alabama denied Williams's petition for a writ of certiorari. See Ex parte Williams, 662 So.2d 929 (Ala.1992). The United States Supreme Court denied Williams's petition for a writ of certiorari on November 2, 1992. See Williams v. Alabama, 506 U.S. 957, 113 S.Ct. 417, 121 L.Ed.2d 340 (1992). Williams then filed a Rule 32 post-conviction petition with the Tuscaloosa circuit court, raising numerous claims for relief. See Ala. R.Crim. P. 32. Following an evidentiary hearing on the Rule 32 petition, then Tuscaloosa Circuit Judge Robert Harwood Jr.FN3 denied Williams's petition for post-conviction relief. The Alabama Court of Criminal Appeals affirmed the trial court's order denying Williams's Rule 32 petition. See Williams v. State, 783 So.2d 108 (Ala.Crim.App.2000). The Alabama Supreme Court denied Williams's petition for a writ of certiorari. FN3. Today, Judge Harwood is an associate justice on the Alabama Supreme Court. Williams filed the present federal habeas petition on March 29, 2001, and amended his petition on June 7, 2001. The district court denied Williams's request for an evidentiary hearing and denied Williams's petition for habeas relief. Williams filed an application for a certificate of appealability (“COA”) which this court initially denied. Upon reconsideration, this court granted a COA on three grounds of ineffective assistance of counsel. 1. Whether Williams received ineffective assistance of counsel because counsel allegedly failed to review the Taylor Hardin file before trial. 2. Whether Williams received ineffective assistance of counsel at the penalty phase because his counsel allegedly failed to investigate adequately Williams's background for potential mitigation evidence. 3. Whether Williams received ineffective assistance of counsel at the guilt phase because his counsel allegedly failed to investigate adequately and present substantial evidence to support Williams's reasonable doubt defense. The record from the appellant's direct appeal shows that Dr. Raymond O. Sumrall testified before the jury during the penalty-phase proceedings. Dr. Sumrall, who was a professor at the School of Social Work at the University of Alabama and an associate professor with the University's Department of Criminal Justice, testified that he spent ten hours interviewing the appellant and that he had reviewed the appellant's background. He testified that the appellant's mother deserted him when he was very young; that he lived with his maternal grandmother; that, at age seven, when his maternal grandmother died, he moved in with his aunt; that he did not have a stable home environment; that he had not had any relationships with significant adult and stable women in his life; that he did not have a relationship with his father because his father left when the appellant was two years old; that, from the ages of nine to twelve, “he was pretty much a street kid who came and went without very much supervision from anybody” (Trial R. 1026); that he could not discipline himself; and that he had been extensively involved in the use of drugs and other substances since he was sixteen. Dr. Sumrall also testified that he had not observed any pattern of behavior in the appellant that was assaultive or violent and that committing murder was not consistent with the appellant's prior behavior, which involved only property offenses. There was also testimony that the appellant had been evaluated at the Taylor Hardin Secure Medical Facility (“Taylor Hardin”) by several doctors. Using that evaluation, Dr. Bernard E. Bryant, a psychiatrist, testified that the appellant had an antisocial personality and that he showed remorse about the offense. Finally, the trial court held a separate bench sentencing hearing after the jury had returned its recommendation and after the presentence investigation had been completed. At this hearing, Reverend Charles Hunter testified that he had known the appellant since the appellant was a child and that he was not a violent person. The appellant also testified at the hearing that he was the type of person who liked to help people and “look out” for people. He further testified that he did not have a history of violence and that he had never previously been convicted of a violent crime. When addressing this claim, the circuit court made the following findings: In his Post-Hearing Brief, Williams contends that testimony could have been adduced by defense counsel through Herbert Echols, Debra Grenshaw (spelled “Grinshaw” in the transcript of the evidentiary hearing), Jesse Hill [the appellant's stepfather] and/or Laura Williams to paint a picture of Luther Williams' deprived and impoverished childhood. There is some question as to Mr. Echols' accessibility and availability during the period of [trial counsel's] representation of Williams, inasmuch as Mr. Echols testified at the evidentiary hearing that he was living in Detroit from 1988 to 1990, and even his brother did not really know how to find him, because at one point in time he was homeless. (EH 145). Nonetheless, the testimony elicited from him and from the other aforementioned witnesses at the evidentiary hearing related to information essentially cumulative to that provided the jury by Dr. Sumrall. Williams argues in his Post-Hearing Brief that those witnesses could have acquainted the jury with the fact that his mother had deserted him and his siblings when he was still very young; that his father likewise had abandoned him; that he thereafter was raised by Laura Wilkins; and that he was often locked out of her house and forced to fend for himself. In his testimony at the evidentiary hearing, Luther Williams explained that when Ms. Wilkins would lock him out, for two to three days at a time, he would live “over [at] other friends' houses.” (EH 189-90). The contention is made in the Post-Hearing Brief that testimony could have been presented through Mr. Echols that Luther, along with Mr. Echols, was regularly whipped by Mr. Hill with switches, belts, and extension cords. Williams himself testified at the evidentiary hearing that he had a good relationship with Mr. Hill when he didn't whip him, and Luther still loved him. (EH 190). Dr. Sumrall put before the jury that Luther Williams' “mother deserted him at a very young age” and that he lived with a maternal grandmother for a while but that she died when he was seven, leaving Luther with an aunt who apparently adopted him when he was about nine; that “from his birth to age nine he had no stable environment”; that he had “no relationship with significant adult and stable women in his life”; that he had no relationship with a significant father figure in his life[ ]; that his father had left him when he was only two years old; and that from about nine to twelve years of age “he was pretty much a street kid who came and went without very much supervision from anybody.” (R. 1025-26). When Williams' present counsel called Jesse Hill to the stand at the evidentiary hearing, he was not asked any questions concerning any alleged mistreatment of Luther by him. Further, Mr. Hill was asked virtually no questions at that hearing concerning Luther Williams' impoverished or deprived background, other than concerning the undisputed fact that Luther's mother and father were not involved in his life after his early years. (EH 163). With respect to the argument made in the post-hearing brief that use of a psychologist, such as Dr. Barbara Tarkin, could have paved the way for presentation of significant non-statutory mitigation evidence, the testimony she presented was not in disagreement with that of Dr. Sumrall or the State's penalty-phase expert, Dr. Bernard E. Bryant. The contention is made in the post-hearing brief that “Dr. Tarkin, or another qualified psychologist, could have offered an opinion, consistent with that of Taylor Hardin's psychiatrist, that Mr. Williams' condition was a condition that developed in all probability by virtue of his very early childhood deprivation.” (PHB, p. 17). Dr. Bryant, who testified that he was employed at Taylor Hardin from April 1 of 1986 through August 31 of 1989, opined that Williams had an antisocial personality (R. 108). He explained that it is a “characterological or personality” disorder developed during a person's formative years, of ages “2, 3, 6, 7, 8 years old,” whereby “the person has ended up with this personality.” (R. 1082). Dr. Bryant acknowledged during cross-examination by [trial counsel] that an unstable family could, if there were not a proper male or female role model, contribute to a person having antisocial characteristics. (R. 1097). He further acknowledged that “substance abuse does exacerbate[. ]” (R. 1098). The court does not find that the failure to utilize the witnesses now suggested by Williams constituted ineffective assistance of counsel .... The pertinent information was presented to the jury through Dr. Sumrall, without the risk being run of possibly harmful information being elicited from those witnesses on cross-examination. Furthermore, even if [trial counsel's] preparation and presentation were deficient in this regard, Williams has failed to show the requisite second prong of prejudice. He has not met the Strickland test of showing a reasonable probability that, absent the error in question, the sentencer would have concluded that the balance of aggravating and mitigating circumstances did not warrant death; he has not shown a probability sufficient to undermine confidence in the outcome. We agree with the circuit court's findings and adopt them as part of this opinion. In addition, we note that the trial court found, as nonstatutory mitigating circumstances, that the appellant had an antisocial personality, that he did not have a significant prior history of assaultive or violent conduct, that he had not had a stable family environment during his formative years, and that he had extensively abused alcohol and drugs since he was about 16 years old. (Trial R. 1433)[.] For the above-stated reasons, the appellant has not shown that counsel rendered ineffective assistance in the preparation and presentation of mitigating evidence. See Strickland, supra. Williams v. State, 783 So.2d at 115-121. Our review of this claim is limited to whether the state courts unreasonably applied Strickland to the facts of this case. Although Williams urges us to apply Wiggins to his case, the controlling Supreme Court precedent with regard to claims of ineffective assistance of counsel is Strickland. See Marquard, 429 F.3d at 1304 (noting that Strickland is “the ‘controlling legal authority’ to be applied to ineffective assistance of counsel claims”). As the district court found, the state courts did not unreasonably apply the Strickland standard to Williams's claim of ineffective assistance for failing to investigate and present sufficient mitigation evidence at the sentencing phase. Bivens hired Dr. Sumrall to investigate and conduct his mitigation defense. Dr. Sumrall presented evidence to the jury that assisted Bivens in his mitigation strategy. Dr. Sumrall testified that Williams came from a disadvantaged background that led to his alcohol and drug abuse and property crimes, which were not violent in nature. This testimony allowed Bivens to argue to the jury that Williams was not a violent person, and a sentence of life in prison would be more appropriate for him. Also, Dr. Sumrall stated that he spent ten hours with Williams, recounting his family history, educational history, and criminal history. Dr. Sumrall also reviewed Williams's mental health, police, probation, and parole records. Dr. Sumrall's testimony led the trial court to find as mitigation that Williams had a poor family history, a history of non-violent crimes, an extensive history of drug and alcohol abuse, and an anti-social personality disorder. Assuming this investigation was deficient, Williams cannot show how the alleged deficient investigation prejudiced him at sentencing. At the Rule 32 hearing, Williams's expert psychologist, Dr. Barbara Tarkin (“Dr. Tarkin”), testified that she spent approximately nine hours meeting with Williams. She stated that she read virtually the same files as Dr. Sumrall; she talked to only one family member over the phone; and she was not “intimately familiar” with the facts of the case. [R. Vol. VI, Rule 32 hearing p. 284-91, 299, 315-17.] In her expert opinion, Dr. Tarkin found that Williams suffered from an anti-social disorder and Bivens should have argued in mitigation that Williams was suffering from a mental disturbance; that Williams was too passive to be anything but an accomplice; and that Williams was shaped by the poor environment in which he was raised. Dr. Tarkin's conclusions are essentially the same as Dr. Sumrall's conclusions, to which he testified at sentencing. Under the prejudice prong of Strickland, “the question is whether there is a reasonable probability that, absent the errors, the sentencer ... would have concluded that the balance of aggravating and mitigating circumstances did not warrant death.” Strickland, 466 U.S. at 695, 104 S.Ct. at 2068-69. Under this standard, it is apparent that “[a] petitioner cannot establish ineffective assistance by identifying additional evidence that could have been presented when that evidence is merely cumulative.” Van Poyck v. Fla. Dep't of Corrs., 290 F.3d 1318, 1324 n. 7 (11th Cir.2002). This is exactly what happened at Williams's Rule 32 hearing. He presented evidence that was cumulative. The witnesses may have elaborated on prior mitigation evidence, but no witness testified to any new mitigating factors. Each witness presented cumulative evidence that merely re-established the mitigating circumstances previously argued by Bivens at trial and considered by the trial court at sentencing: (1) an anti-social personality disorder, (2) a non-violent criminal history, (3) an unstable family life, and (4) an extensive alcohol and drug abuse problem. There can be no reasonable probability that this cumulative testimony of mitigating factors already presented to and considered by the trial court to be “weak and unpersuasive” would have tipped the sentencing scales, especially when the trial court noted that the statutory aggravators far outweighed the mitigating factors. [R. Vol. 7 p. 1427.] Thus, Williams cannot demonstrate that the state courts' determination that he failed to prove prejudice under Strickland was objectively unreasonable. Accordingly, Williams is not entitled to relief on this claim of ineffective assistance of counsel at sentencing. Williams argues that his counsel rendered ineffective assistance because he did not reasonably investigate Williams's guilt phase defenses that he was incapacitated at the time of the murder, and that there was “reasonable doubt” that Williams committed the murder because there were two other individuals involved. Both the state trial court and appellate court rejected Williams's claim under Strickland. See Williams, 783 So.2d at 123-26. Specifically, both courts found that Dr. Formby was a well qualified investigator who reasonably investigated Williams's guilt phase case, and that Williams presented no evidence at the Rule 32 hearing that would have affected the outcome of the trial. Id. [Trial counsel] principally relied on Dr. Formby, who had been engaged by his predecessor counsel, to conduct the case investigation and witness interviews. Dr. Formby was well qualified for that role by virtue of many background attributes, as detailed by his testimony at the evidentiary hearing and his “vitae” introduced as State's Exhibit 6 to the same. During the time of his engagement on the case, he was also a co-principal with Dr. Sumrall in the forensic services firm of Veritas, Inc.... Dr. Formby testified that he “probably put in easily 200 hours” on the investigation, having commenced it in the service of [Williams's] predecessor attorneys and therefore having been on the case “essentially longer than anybody else.” (EH 398). Dr. Formby “spent a good bit of time talking with Luther [Williams]” and spent a good bit of time talking to potential witnesses in the Smithfield Apartments area of Birmingham. (EH 378). He visited with some of Williams' family members in the Titusville projects and Debra Bush in the Avondale projects. (EH 378). He went to see Margie Bush, the grandmother of Debra Bush and she admitted him to her apartment where Luther had been apprehended, showing him the bedroom. Dr. Formby spent many hours “just walking around that area talking to people.” (EH 380). For various reasons adequately explained in his testimony, he did not keep detailed records of everyone he interviewed or of all the time he devoted to the case. He interviewed Priscilla Jones and DeWayne Pierce. (EH 382-83). A lot of his investigation and interviewing was devoted to trying to develop connections between Williams' co-defendants and the property stolen from Mr. Kirk, and other evidence against the co-defendants. (EH 381, 384). He went to the Titusville projects and spent approximately two hours interviewing Williams' grandmother and one of his sisters. (EH 384).... As the District Attorney's office provided the defense with more and more discovery materials, Dr. Formby “would go back to Luther and talk to him again to see if he could push me or give me leads in other directions.” He talked to Williams a lot. (EH 388). Dr. Formby went to the crime scene on a couple of occasions. (EH 388-89). He attempted to follow the route that Williams and his two co-defendants had traversed at different points during the incidents in question. (EH 389). He and [trial counsel] routinely “would have meetings probably twice a week up until the last few weeks before trial, and then we met virtually every day.” (EH 389-90). Dr. Formby would brief [trial counsel] on all that he had developed, and [trial counsel] would provide guidance in terms of things that he felt were important that Dr. Formby needed to follow up on. (EH 390).... For his part, [trial counsel] personally tried to locate witnesses who could corroborate Mr. Williams' claim that he was incapacitated by intoxication on the night of the murder[.] (EH 79-80). Williams asserts in his post-hearing brief that defense counsel should have countered the damaging testimony of Priscilla Jones by eliciting testimony from her father, Jesse Hill, that she was “a big liar.” Under Rule 608(a) of the Alabama Rules of Evidence ..., a witness may impeach the credibility of a witness who has testified by offering the second witness's opinion regarding the first witness's untruthfulness. The Alabama Rules of Evidence did not become effective until January 1, 1996, however, and the law of evidence existing at the time of Williams' trial restricted the testimony of an impeaching witness to the limited fact of the other witness' general reputation in the community for untruthfulness. Before a witness can testify concerning the reputation in the community for the truthfulness or untruthfulness of another witness, a predicate must be laid establishing that the impeaching witness actually has knowledge of the other witness's reputation for truthfulness or untruthfulness in the first witness's community. That was the evidentiary point addressed by the court in its comments to counsel during Mr. Hill's testimony. (EH 164-66). Although the question put to Mr. Hill was rephrased so as to properly inquire as to “reputation,” Mr. Hill persisted in expressing the matter in terms of his own personal knowledge of her lack of veracity. His testimony as ultimately offered related to his own personal assessment or opinion of her history of untruthfulness, rather than relating it to her reputation in the community. He expressed his opinion that Priscilla “had come down here and told the people out here a bunch of-to me, it is a bunch of fairy tales.” (EH 166). Mr. Hill conceded, however, that he [had] no knowledge about the evidence in the case and that it was his testimony that Priscilla was telling the people in Tuscaloosa “fairy tales” because “that is my daughter, and I know what she is capable of doing. My daughter would do anything, say anything to anybody.” (EH 167). When asked how, if he did not know anything about the facts of the case, he could attack the credibility of her testimony, he answered that Priscilla was “a big liar,” and that she “never tells the truth about a lot of things.” (EH 168). Accordingly, as the record stands, there is no affirmative showing that Mr. Hill could have offered testimony that would meet the foundational requirement of showing that it related to Priscilla Jones' reputation for truthfulness/untruthfulness in her community in 1989 .... [Trial counsel] impeached Priscilla Jones with respect to the inconsistencies between her trial testimony and her preliminary hearing testimony, and her testimony on several important points was corroborated by that of Teresa Ann Evans. One of the critical features of Priscilla Jones' testimony was that Luther Williams told her, on the occasion that he came to her apartment building the morning of Saturday, January 23rd, in the “red and white camper truck,” that he had killed a white man (R.479), that “I just killed a white man.” (R.502). She did not believe him at the time. (R.480, 502). Immediately prior to making that statement, he had hugged her and apologized to her for the altercation between them the preceding night. (R.476, 502). He had the odor of gas on him. (R.480). When she returned to her apartment, he followed her and showed her “a pistol and some bullets,” with the pistol having “a clear handle,” meaning that it was “white.” (R.480). As the only other participant to that conversation, Williams was the only person who could have contradicted Jones' testimony about it, but he did not testify and the trial strategy decision in that regard is not challenged in this proceeding. The court does not consider the fact that Mr. Hill might have testified that he had knowledge of his daughter's reputation for truthfulness, and that her reputation was bad in that regard and she had a reputation for untruthfulness, would have been of such import as to impeach her as a witness to the extent that the outcome of the trial would have been different. We agree with the circuit court's findings as to these claims and adopt them as part of this opinion. Because the appellant has not established that his attorneys rendered ineffective assistance in these instances, he is not entitled to relief on these claims. See Strickland, supra. Williams, 783 So.2d at 123-26. Based on the record, the state courts correctly found that Bivens and Dr. Formby performed a reasonable investigation of Williams's case and possible defenses. These findings are entitled to a presumption of correctness by our court. See 28 U.S.C. § 2254(e)(1). Williams presents nothing to rebut these findings. Therefore, Williams cannot show that the state courts unreasonably applied Strickland's performance prong to this issue. Williams cannot show that “there is a reasonable probability that the outcome of the proceeding would have been different,” Callahan v. Campbell, 427 F.3d 897, 936 (11th Cir.2005), pet. for cert. filed, (No. 05-10404) (Apr. 13, 2006), by adding two witnesses who corroborate the State's theory and another witness who has no knowledge of the circumstances of the case and can only present inadmissible opinion testimony. Thus, Williams cannot demonstrate prejudice under Strickland. Accordingly, Williams cannot show that the state courts unreasonably applied Strickland's prejudice prong in his case, and, therefore, he is not entitled to habeas relief. Because Williams fails to demonstrate that the state courts unreasonably applied the Strickland standard to his claims of ineffective assistance of counsel, we affirm the district court's judgment denying Williams habeas relief. AFFIRMED. I concur because the majority opinion correctly resolves the legal issues before us. Williams argues that his trial counsel was ineffective by failing to read the Taylor Hardin file, in which he would have discovered the basis for Gaskin's unequivocally damaging testimony- viz., that Williams told Gaskin that he killed a white man-and would have been able to object to the testimony on relevancy grounds. Given the proceedings in the Alabama state courts, Williams cannot satisfy the prejudice prong of Strickland on the strength of the relevancy objection alone, see Ante at 1241 n. 5, and that is the only issue, with respect to the guilt-phase, for our review. I write separately only to note that Williams has not argued in the state courts that counsel should have been better prepared to mount an adequate defense notwithstanding the success vel non of the objection to Gaskin's testimony. For example, had counsel known of Williams' inculpatory statement, he most certainly would have discussed it with Williams and attempted to ascertain the circumstances under which the statement was made, the purposes for which it was made, and any other information that might have mitigated the statement. See Rompilla v. Beard, 545 U.S. 374, 125 S.Ct. 2456, 162 L.Ed.2d 360 (2005).FN1 Because our review is limited, however, to the grounds identified by the majority, I must concur. FN1. Contrary to the state's argument on appeal, Rompilla and Wiggins v. Smith, 539 U.S. 510, 123 S.Ct. 2527, 156 L.Ed.2d 471 (2003), although they post-dated the relevant state-court proceedings, are relevant to our consideration of Williams's Strickland claim, for they both clarify Strickland's applicability. See, e.g., Wiggins, 539 U.S. at 521, 123 S.Ct. 2527 (“While Williams [ v. Taylor, 529 U.S. 362, 120 S.Ct. 1495, 146 L.Ed.2d 389 (2000)] had not yet been decided at the time the Maryland Court of Appeals rendered the decision at issue in this case, Williams' case was before us on habeas review. Contrary to the dissent's contention, we therefore made no new law in resolving Williams' ineffectiveness claim. In highlighting counsel's duty to investigate, and in referring to the ABA Standards for Criminal Justice as guides, we applied the same ‘clearly established’ precedent of Strickland we apply today.”). I do not take our decision in this case as holding to the contrary.